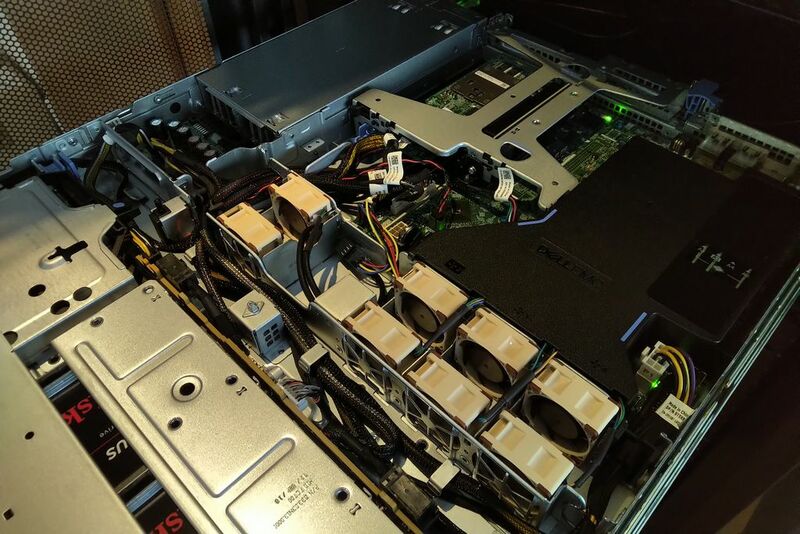 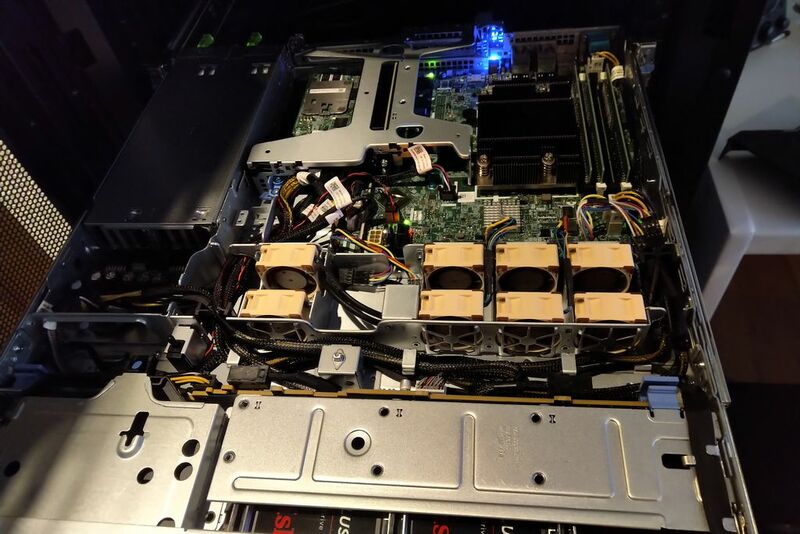 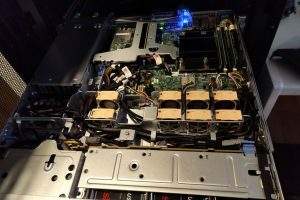 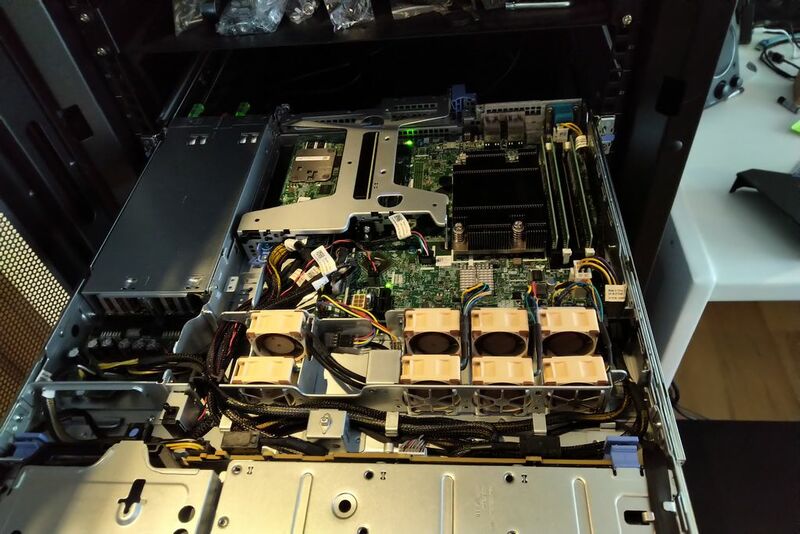 As I described in a previous post, Dell’s 1U server fans are made to be efficient and definitely not to be silent. 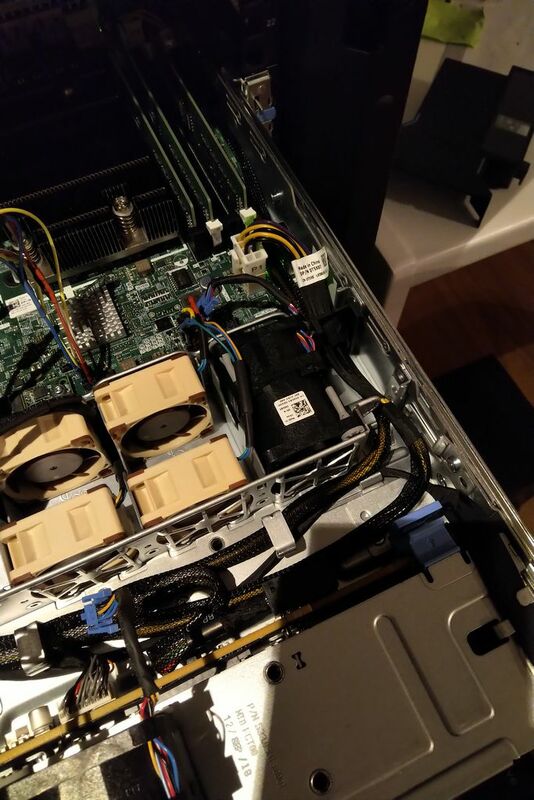 You can try to decrease the RPM to 1%, but they remain to be quite loud. Because I use the R340 in a quiet office and did not get useful support regarding this topic, I decided to replace the fans which quieter ones. My recommendation: Replace all 8 fans with model Noctua NF-A4x20 PWM. 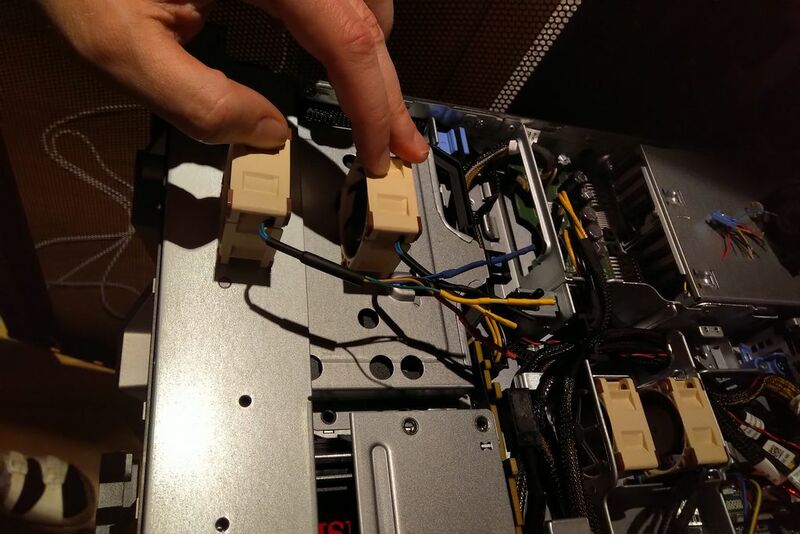 Dell’s 6-Pin fan connector is a proprietary solution. 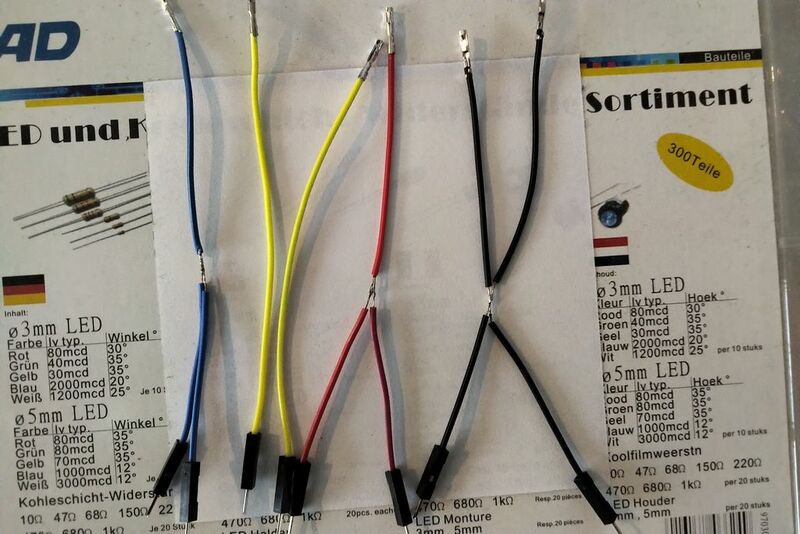 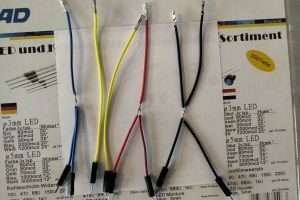 You can either use modified breadboard wires to create an adaption, or you cut off the connector of the Noctua fans, and solder breadboard female connectors. 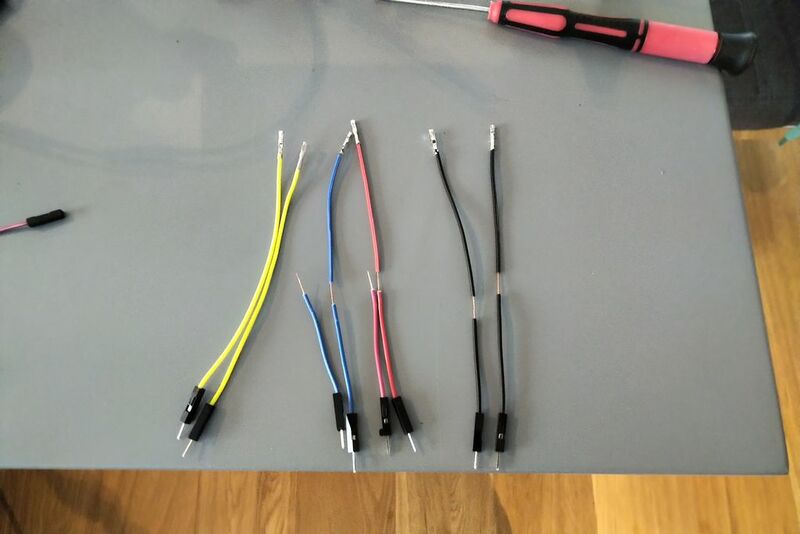 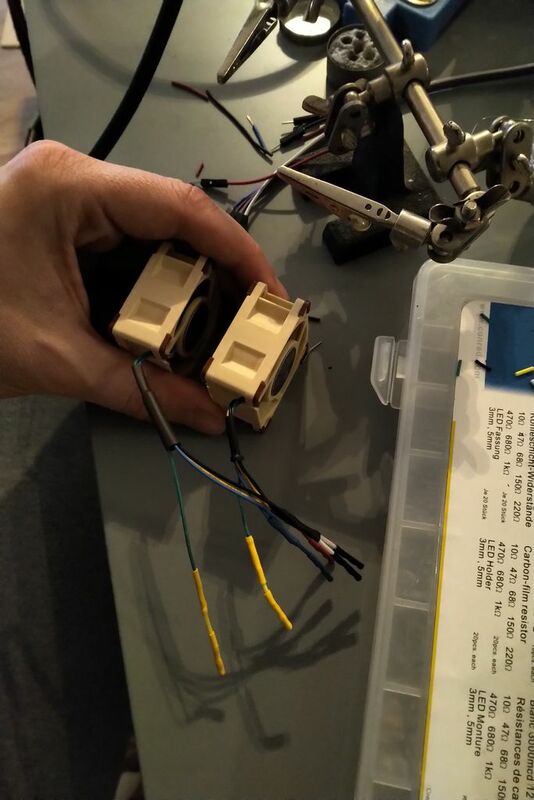 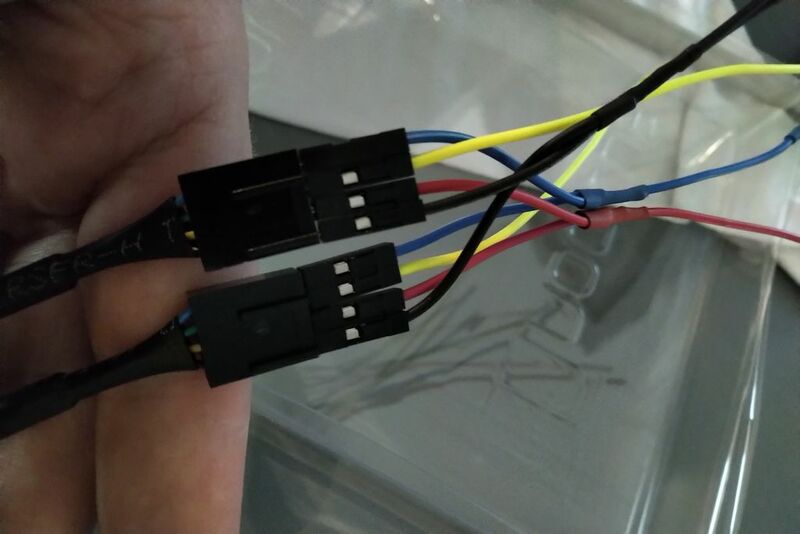 Remove the plastics of the connectors and replace it with shrinking tubes, as you see on the photos below, otherwise it won’t fit into the mainboard’s connector. 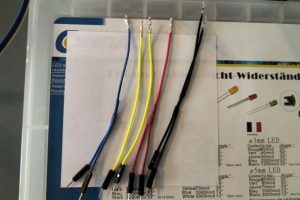 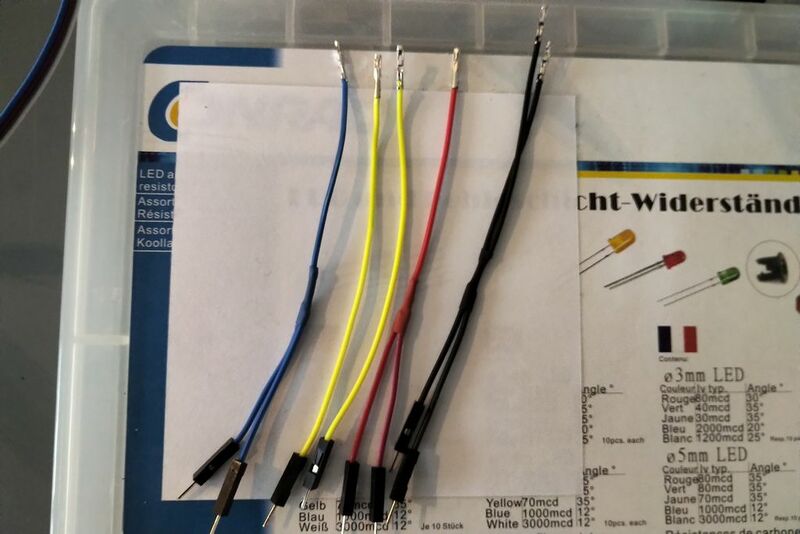 I used a combination of breadboard wire connectors and direct soldering, because especially for the CPU fans you would experience space problems. 2 pins are black and as you see on the original fans, these 2 pins have also to be connected to each other. 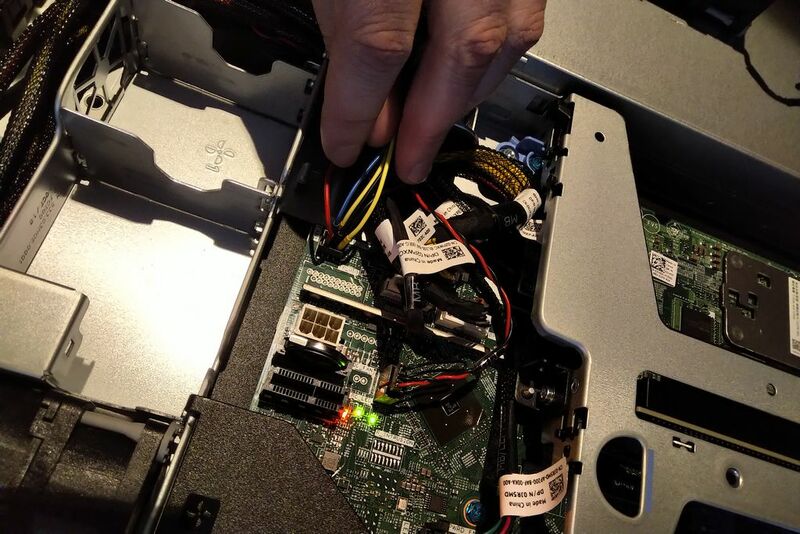 Otherwise, the fan won’t spin up. 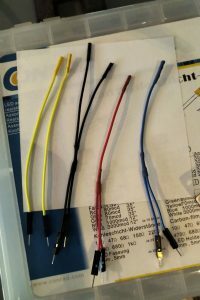 So you have to connect black/black, red/yellow, blue/blue, yellow/green. Use e.g. 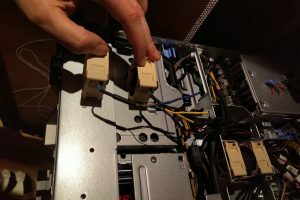 double-sided tape to fix the fans in the server chassis. 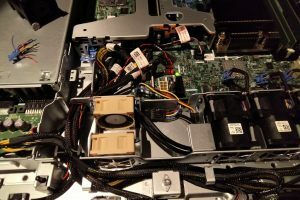 Finally, you can try again to use Dell’s recommended thermal profiles. 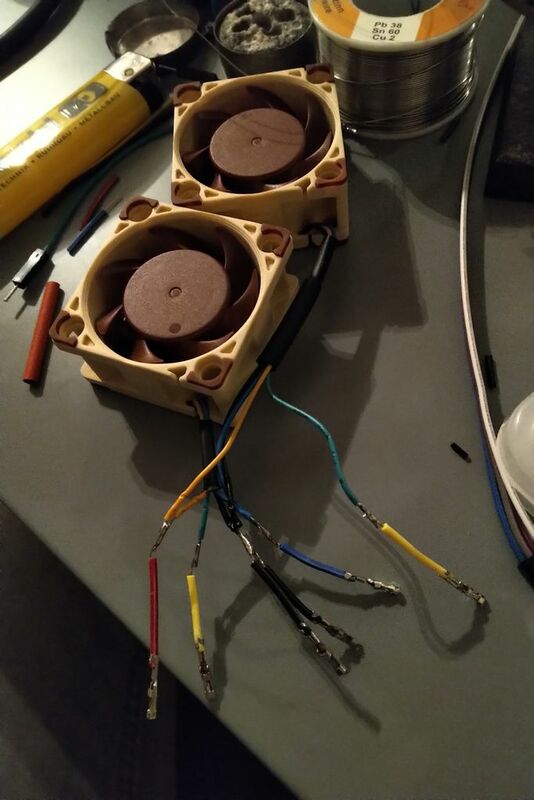 In my case however, the fans spin too high, so at the moment I use a manual setting of 32 % RPM which is about 1900 RPM with the Noctua model. 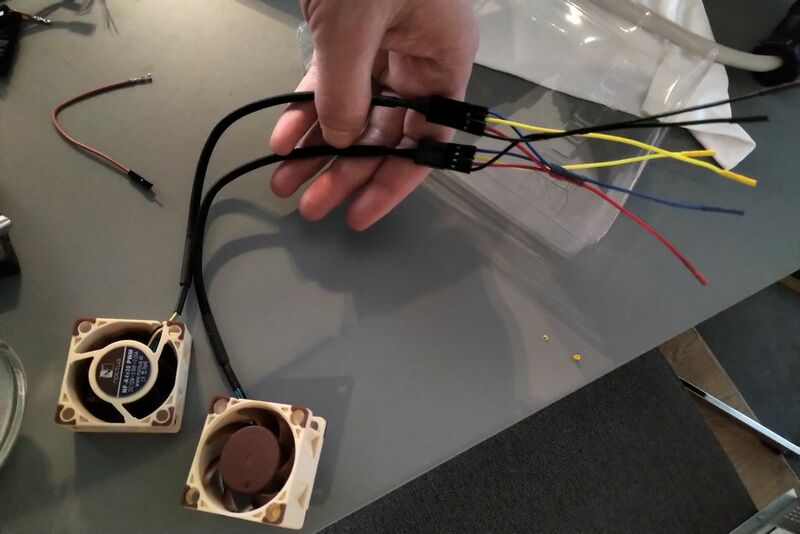 The temperature outlet sensor stays at about 33 °C, and the fans are as silent as other 120mm fans spinning with ~500 RPM. 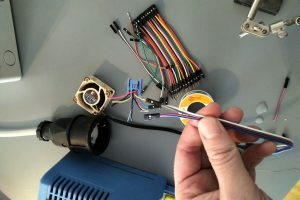 You may have to experiment with the default fan RPMs for your needs.